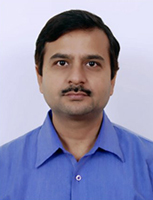 This is sandeep kumar upadhyay ,M.B.A. ,Post Graduate diploma in Mass communication and Obviously CFPCM certficant with 14+years of extensive experience in Financial sector in different domains as in insurance, mutual fund, home loan( Ex personal financial consultant , IDBI BANK), shares, commodities , fixed deposits, post office schemes etc. After all these years of experience , The Zest is that there is often lack of matching risk profile with investment made and no goal orientation except reaping maximum benefit without logic. . Even I was not much convinced as whenever, I offered any product to anyone .I always asked to myself semantically and always got the confused answer. But CFPCM certification has washed all the doubts. But Still we are for behind in the co-ordination between the people's risk profile, life goals and their finances. It is a big challenge for the public at large and for CFP certificants . So this is my prime focus to keep the people at large aligned with their need while going for any personal financial matters and choosing any financial product. This is my genuine expectation to everyone who decides for investments or financial planning or choosing any financial product please think pragmatically . As there are many luring offers about 30%or 40% returns on your investments, never indulge in those and try to understand the viability of that offer because it is next to impossible to get this kind of return in a definite manner without being ready to lose entire money. AS a CFPCM certficant – I always stick to the ethics of the profession with ultimate integrity.